New Orleans' plans for getting carless residents out of danger overcame initial obstacles only to founder later. When the nation weighed the success of New Orleans’ evacuation for Hurricane Katrina, few looked to the more than 1 million citizens who drove vehicles or booked flights to flee the threat through their own means. The overwhelmingly negative reviews, rather, rested with local and state governments’ inability to assist tens of thousands of residents who either didn’t have transportation to get out or couldn’t afford the gas and lodging they would need on a multiday evacuation. An image of yellow school buses parked in neat rows while submerged in Katrina’s floodwaters epitomized New Orleans’ missed opportunity to help those residents. Citizens who decided they couldn’t or wouldn’t leave on their own became the terrified storm victims who climbed into their attics to escape the surge as it barreled through breached floodwalls or who waited for days in the searing heat for the bungled distribution of food, water and medical supplies. That’s why the iconic scene of flooded New Orleans school buses lent such resonance to an image three years later outside Zephyr Field, a minor league baseball stadium in suburban Metairie. Hundreds of yellow buses streamed into the parking lot on Aug. 30, while Louisiana National Guardsmen refueled their tanks and stocked their cabins with food and water. Hurricane Gustav was spinning in the Gulf of Mexico. Forecasters predicted it would make landfall just west of New Orleans, delivering the region — still Katrina-damaged — a devastating blow from the storm’s traditionally more powerful east side. Southeast Louisiana was clearing out. Residents with means were loading up their cars to join the slow creep along outgoing highways, and hotels were directing tourists to Louis Armstrong International Airport. The bustling staging area outside the baseball stadium was the first sign that the public evacuation model Louisiana created in response to Katrina might pass its first real test and usher thousands of low-income and elderly citizens without their own transportation to shelter far from the potential disaster zone. That the state even had a detailed plan for evacuating carless residents is extremely rare; governments far from the hurricane-weary Gulf Coast often have contingencies for localized emergencies but no plans for regional disasters that require moving the masses. Three days before Gustav’s landfall, New Orleans city buses collected evacuees from 17 pickup sites described on maps that were distributed before the hurricane season began in June. The buses took evacuees to the downtown Amtrak and Greyhound hub, where riders registered and boarded a different set of buses dispatched by state emergency preparedness officials to shelters in northern Louisiana, a handful of nearby states and the airport. The same scenario played out in suburban Jefferson Parish, which sent its transit buses on regular routes to take riders to two processing sites also run by the state. In the long lines that formed, evacuees kicked their luggage forward inch by inch, not sure what to expect for the next few days. Lucille Canty, 63, stood in a cluster of 21 relatives ranging from her age down to her year-old great-grandson, William. Nieces and nephews used rolling suitcases as stools, and younger children played tag while the family waited outside a civic center to register. The previous night, Canty had rallied her extended family to pack their suitcases and get ready to take public transportation when she heard local officials’ warnings about possible flooding from Gustav. She didn’t want her relatives to relive the chaos and hardships that followed Katrina, and she worried about her own health after having an angiogram the week before. “This was our only option,” she said, resting against a wall while in line. Louisiana had three years to develop the public evacuation model. Gustav provided the first occasion for planners to roll it out during a real threat. The first hitch came early, and it was no small matter: Landstar System Inc., a Jacksonville, Fla., transportation company and the sole contractor for busing, told the state it couldn’t deliver all of the 700 motor coaches promised in its multimillion-dollar emergency contract signed before hurricane season. 26,000 residents of Orleans and Jefferson parishes relied on assistance from the local and state governments to get to shelters in north Louisiana and neighboring states. While the storm largely spared metro New Orleans as it diminished significantly and drifted westward for landfall on Sept. 1, it forced the state to launch a public evacuation model cobbled together after Hurricane Katrina. 12,500 residents without their own transportation out of coastal counties in southeast Texas boarded public buses and government-facilitated airline flights to flee the giant storm that battered Galveston and Houston on Sept. 13. The evacuees remain in state shelters in Austin, Dallas and elsewhere while local officials in the hardest-hit areas say their neighborhoods aren&apos;t safe for them to return. State transportation officials quickly launched a backup plan to sign supplemental contracts, bring in yellow school buses and enlist Louisiana National Guardsmen to drive them to shelters and the airport. Canty’s family members found themselves sitting in the stiff, high-backed seats of a school bus en route to Alexandria, about 220 miles northwest of their homes in suburban Gretna. The driver helped the passengers stay in decent spirits by pulling over, as time and traffic allowed, for pit stops and snacks. The journey remained tolerable for the Cantys until they arrived at the converted coliseum that would become their home for the next week. Portable toilets were positioned outside while crews tried to repair the building’s failing plumbing system with jackhammers that Canty said kicked up dust, disturbing infants, elderly evacuees and others. Similar stories — with the same troubling conclusion — emerged from other shelters as evacuees filtered back to metro New Orleans over the following week. If enough citizens decide that their grueling Gustav experiences deter them from taking public transportation during future storms, disaster planners worry that New Orleans could again face the public health crisis that the world saw after Katrina, when thousands of people exposed themselves to injury and death in their homes and on their rooftops. John Renne, a transportation expert commissioned by the Federal Transit Administration to study five U.S. cities&apos; evacuation plans, described the first run of Louisiana&apos;s model as a success. The case demonstrated that public officials could motivate individuals to get out, and the buses took evacuees away largely without incident. Now the state must shift its focus to refining its shelter plans, he said. "For the last few years, the focus has really been upon, &apos;Can we create a plan that gets people out of the city?&apos; with less attention put on the shelters," said Renne, an assistant professor at the University of New Orleans and associate director of the school&apos;s Transportation Center. Matt Kallmyer, New Orleans’ deputy director of emergency preparedness, said that because the city loses authority over the public-assisted evacuation when the buses leave the parish, it has to rely on close cooperation with the state to correct the flaws exposed by Gustav. “Everyone realizes after going through this once that there are truly deficits,” he said. Kallmyer said the state has already made quick revisions — the secretary of the Department of Social Services resigned under pressure Monday — and state emergency managers appear poised to learn from the first run of the evacuation model. Shirley Laska, director of the Center for Hazards Assessment, Response and Technology at the University of New Orleans, said state and local leaders must build on what worked during the Gustav evacuation and thoroughly revise what didn’t for next time. Contractors who didn’t deliver enough buses or build the adequate showers they promised to build at shelters, for example, shouldn’t get business again from the state. “There’s got to be accountability and a very serious commitment at all levels of government to have the pieces in place, and then the public will trust that,” she said. Canty had her own advice about what the state and its emergency preparedness experts must do to persuade Gustav evacuees to take public transportation again when the next storm threatens. Given the refrain from some Gustav evacuees that they wouldn&apos;t evacuate again after experiencing personal hardships, Renne said it rests on government officials&apos; shoulders to constantly remind individuals to make adequate emergency preparations regardless of the previous disaster. "Most of the time, hurricanes miss us or don&apos;t cause much damage," he said. "But you never know that until it&apos;s too late. 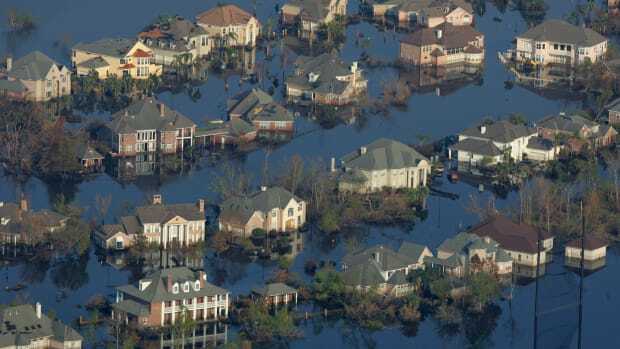 Unfortunately for the people of New Orleans during Katrina and the people of Galveston right now for Hurricane Ike, it was worse than they expected and now they are unfortunately suffering those consequences." How Could They Have Stayed Behind? 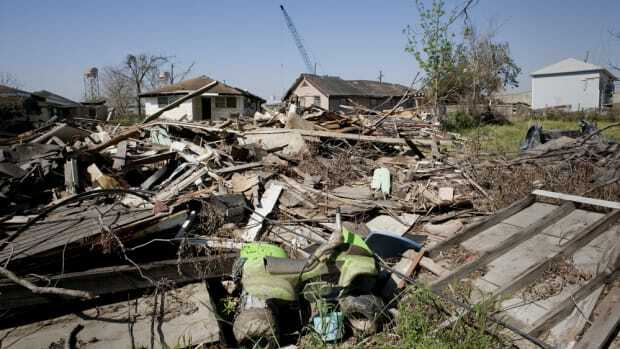 A group of psychologists argue that during Hurricane Katrina, those who stayed in New Orleans had a very different sense of their options than those who oversaw the evacuations or those watching from afar.